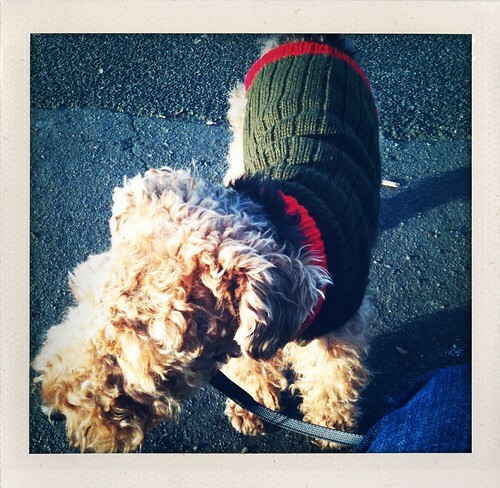 Edwyn in his new LoveMyDog jumper, originally uploaded by Edwyn UK. Today we went to the open studios at LoveMyDog head quarters and picked up this fab knitted coat for Edwyn – perfect for Christmas! We met some great dogs too, had a mince pie and the dogs got turkey treats. Great fun! It’s open next weekend too! See here for details.